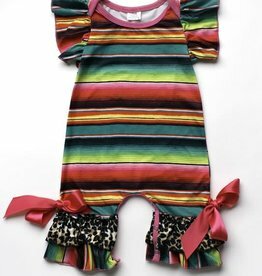 Serape Pom Dress. Ultra soft multi-blend fabric. 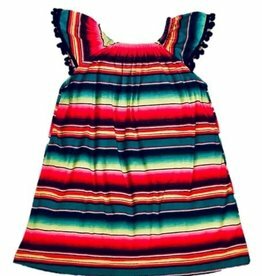 Perfect for festive spring/summer occasions with your little ones. Super soft and sweet! This romper has it all! 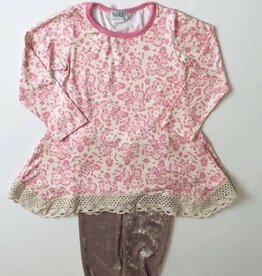 Adorable print with touches of velvet on the faux button front with lace, ruffles at the bottom and accented with a beautiful pink ribbon. Snaps at the legs for easy changes. Simply adorable!